Open your very own comic book shop and start selling fast! Sellers just need a valid PayPal account so buyer's can pay you, and a credit card for nominal store fees. One of the greatest benefits of selling through Comic Collector Live is that you get paid instantly! Selling on Comic Collector Live is easy! One of the coolest features with our system is that you dont have to scan your items because Comic Collector Live has stock cover photos of every item. There's practically no typing. Just set the selling price and you're ready to go. 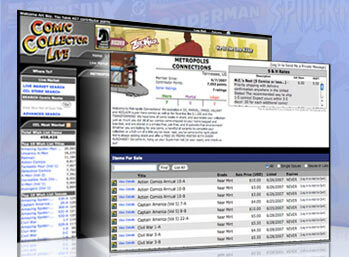 Comic Collector Live's desktop software helps seller's organize their inventory quickly and easily! 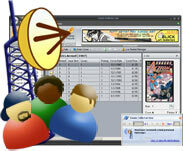 The software uses our massive database so you can catalog all your issues and comic related items fast. Then when you're ready to sell, just click a button and your sale items are sent to the server and your store is open for business! 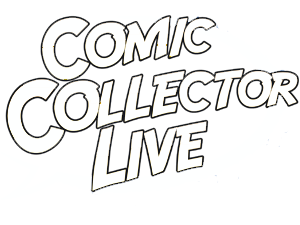 Sellers will love the fact that Comic Colector Live has invested heavily to market to buyers worldwide through an international campaign. Our affordable pricing plan allow you to focus on managing your store for profitability. Thousands of buyers browse Comic Collector Live every day and the number of members and shoppers continue to grow month after month. With well over a million items on our buyers wish lists alone, sellers are finding a huge demand for their inventory. Sellers will also love the private messaging system that allows buyers to connect with you when they want to purchase an issue from your inventory and when you list your inventory and it matches an item on a buyers wish list they are notified instantly! Another fantastic feature of your comic book store is the ability to manage your purchases and sales. As you build your business, buyers will rate your store's service and can even list you as a favorite seller, thereby driving more business to your store. You can also get a unique URL to your store allowing users easy access and navigation to your comic book store.